Record 2 million vehicles sold said to be 'in the bag,' but what next? A sudden change in the dollar, interest rates or the economy could cause the market “to get worse a lot faster,” warns J.D. Power. Canada’s first two-million-unit sales year appears to be a sure thing. Industry experts, however, say that record won’t be equaled soon. Automakers are scheduled to report their December Canadian sales on Jan. 3, 2018. But, Gomes said, so long as the economy doesn’t weaken, car sales will remain relatively strong. 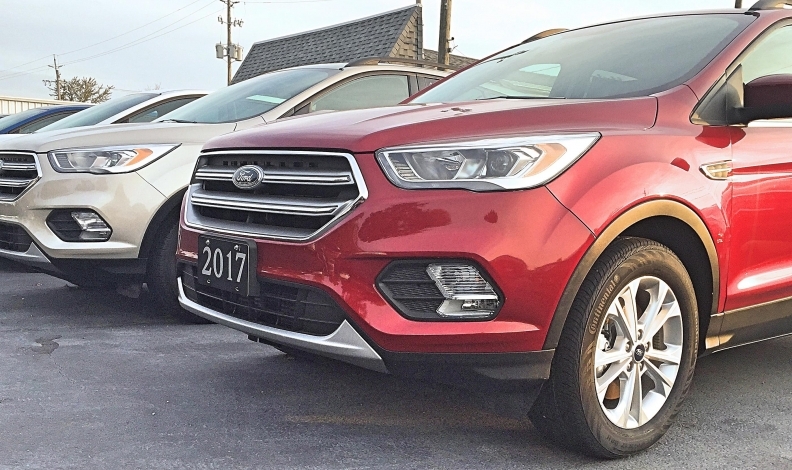 A slight decline from what almost surely will be a record year in 2017 translates to a market of around 1.85 million to 1.95 million vehicles. Larry Hutchinson, CEO of Toyota Canada Inc., said he can live with that. But according to forecasters, factors likely to cause a decline in 2018 deserve close attention. They include rising interest rates and consumer debt, falling residual values, slower growth of home prices, and a return to “normal” replacement cycles after a period that saw many Canadians fulfill their pent-up demand and thirst for new technology. There’s little question that Canadians will buy two million cars in 2017. Dennis DesRosiers of DesRosiers Automotive Consultants and Brian Murphy of Canadian Black Book are both confident that December sales will push Canada past the two million mark for the first time. Sales at the end of November totalled 1,919,233 units, according to the Automotive News Data Center in Detroit. “Absolutely, it’s in the bag,” said DesRosiers. 84-month loans increased, making that the dominant term for financing in Canada. Loan values rose to 117 per cent of car values due to negative equity. The lease mix rose to just over 26 per cent, with 60-month leasing spurring the growth. Dealers’ days to turn for car sales increased by five days to 71. Incentives grew on passenger cars. A sudden change in the dollar, interest rates or the economy could cause the market “to get worse a lot faster,” Karwel said. Price growth is likely to drive buyers into the used market, which should grow in 2018, he said. Residual values have hit a turn- ing point, Murphy added. He said residual values on trucks, which “took off like a rocket in 2013,” are now going down. But Ben Spatafora, national director of Car Cost Canada, said incentive spend- ing to prop up deals isn’t a worry. Concerns about the industry should be seen in the context of strong sales, observers said. Perry Lefko contributed to this report.